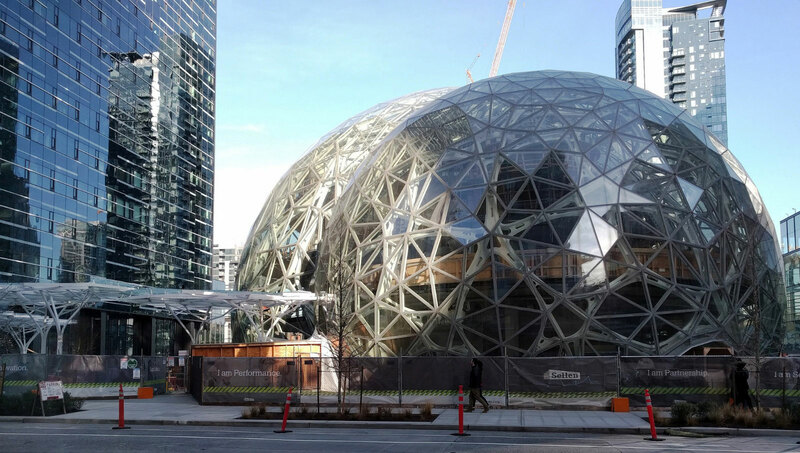 Ending months of speculation and handwringing, Amazon has announced that the company has cut its list of prospective locations for its second headquarters from 238 down to 20. Competition over HQ2, a $5 billion co-headquarters expected to bring 50,000 jobs to the area it touches down in, has been fierce, as cities submitted bids that aggressively gave away land and tax breaks to the tech giant. The selection is notable not only for the cities it includes but the locales that didn’t make the cut. Los Angeles is the only west coast city on the list despite competing bids from Seattle, which holds Amazon’s current headquarters, and cities throughout California. Detroit is absent, as is Baltimore, even as both cities had promised to give Amazon hundreds of developable acres. Tax considerations seem to have played a major role in the final decision, as the inclusion of two cities in Texas, as well as Nashville and other southern cities and regions might attest to. While none of the Mexico-based bids made it through to the final round, Toronto may have been chosen for the money Amazon could save owing to the weakened Canadian dollar; $1 USD at the time of writing is worth $1.25 CAD. 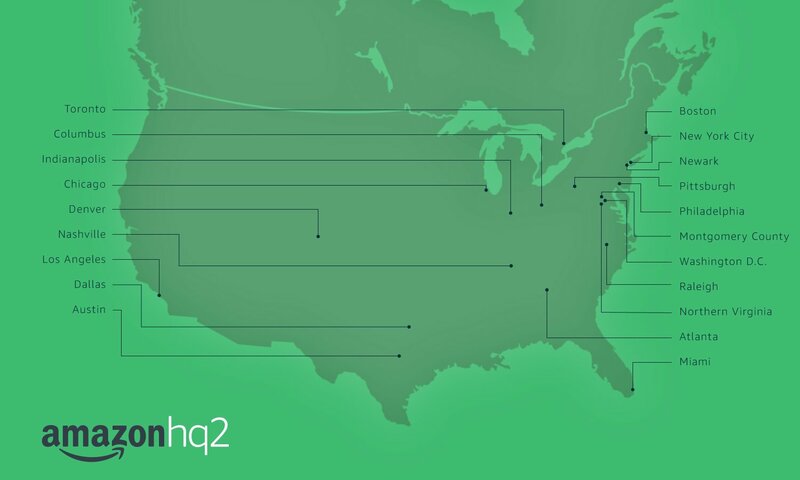 Details on what these 20 metropolitan areas have offered Amazon in exchange for HQ2 have been hard to come by. Muckrock has been tracking down bid packages for all 238 of the areas that submitted initial proposals, and while many of them have refused to release detailed packages, giving away unrestricted development rights or heavy tax breaks have been common. Chicago, for instance, has offered to return 50 to 100 percent of the income tax collected from Amazon employees straight back to the company itself. Newark, New Jersey, has explicitly offered to give Amazon a $7 billion tax break, which is the highest among any of the other finalists. New York, for its part, had offered potential space in four neighborhoods across three boroughs: Midtown West, Lower Manhattan, the Brooklyn “Tech Triangle” between Downtown Brooklyn, the Brooklyn Navy Yard and DUMBO, and Long Island City. The RFP for HQ2 can be read here, and should give some idea of what the headquarters will mean for the winning city when Amazon chooses its final location later this year.